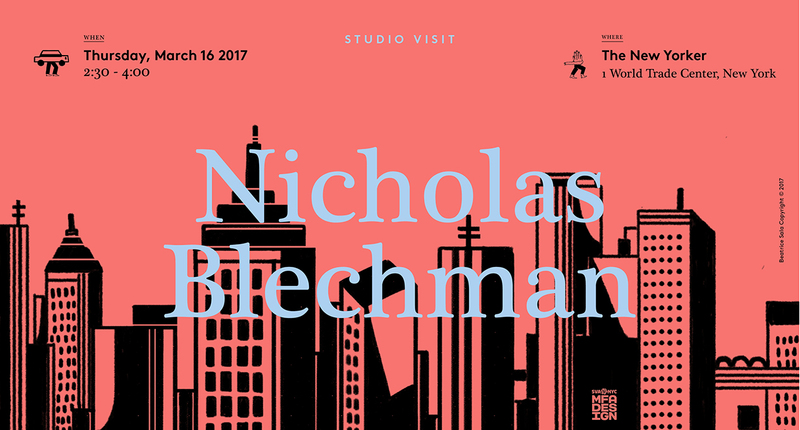 This week’s MFAD troupes to The New Yorker to visit creative director Nicholas Blechman. In addition to his role at the New Yorker, he was art director for the NY Times Op-Ed and Book Review. He is an illustrator, designer and art director and has appeared in GQ, Travel + Leisure, Wired, and The New York Times. Since 1990, Blechman has published, edited, and designed the award winning political underground magazine NOZONE, featured in the Smithsonian Institution’s Design Triennial. He has taught design at School of Visual Arts and illustration at the Maryland Institute College of Art. 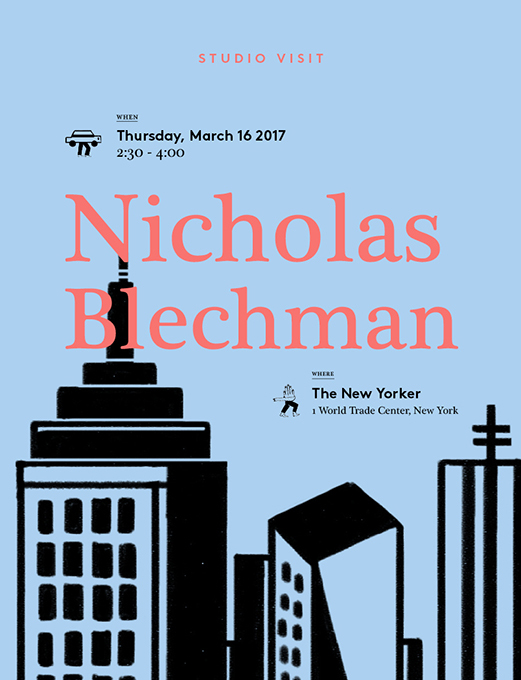 Blechman co-authors a series of limited edition illustration books, One Hundred Percent, with Christoph Niemann. He is a member of Alliance Graphique International, and former board member of the New York Chapter of the AIGA. He is the author of “Fresh Dialogue One: New Voices in Graphic Design”, “100% EVIL”, “Nozone IX: EMPIRE” and most recently “Nozone X: Forecast”.